March 2nd, 2010 – UTVUnderground and Kimbrell Racing are proud to announce and unveil Austin Kimbrell’s new for 2010 Monster Energy Kawasaki Teryx. 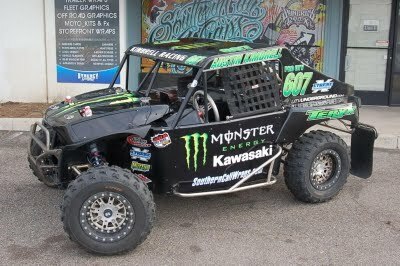 Austin along with his father and Kimbrell Racing team owner John Kimbrell worked very hard with Synergy Graffix aka SouthernCaliWraps.com in Lake Elsinore, CA to put together this fresh Monster Energy Kawasaki Teryx sponsored design. 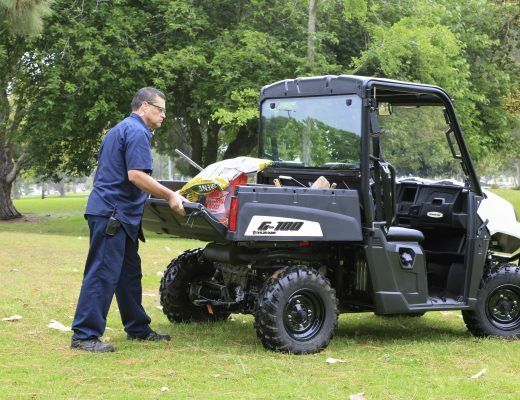 Kimbrell’s popular Kawasaki Teryx was built entirely by Xtreme Manufacturing & Fabrication out of Phoenix, AZ. XMF is known for their quality design and fabrication as well as their top notch race support. XMF built a lightweight yet strong and sturdy chassis entirely out of Chromoly to make this car safe and competitive without sacrificing anything in the looks department. Kimbrell’s Teryx is powered by a Kawasaki 800cc V-Twin built entirely by Weller Racing. Kimbrell Racing has had a long standing relationship with Weller Racing and together they have built one of the fastest and most competitive Teryx Motors on the track. To help pull all the HP out of Austin’s big motor is the NEW Muzzys Pro Pipe Kawasaki Teryx exhaust system. Muzzys is the leader in UTV performance exhaust systems and together with a strong motor this new pro pipe system is the best exhaust any racer could have. To cushion the ride and smooth out the bumps are Walker Evans Racing 10″ 2.0 dual rate coil overs with piggy back reservoirs. Extensive testing and R&D has gone into making these the best performing shocks in UTV short course racing. These shocks along with Kimbrell’s +5 XMF Teryx Long Travel kit allow him to fly any jump, hold the throttle down through any whoop section, and do it all while keeping the car level and smooth! 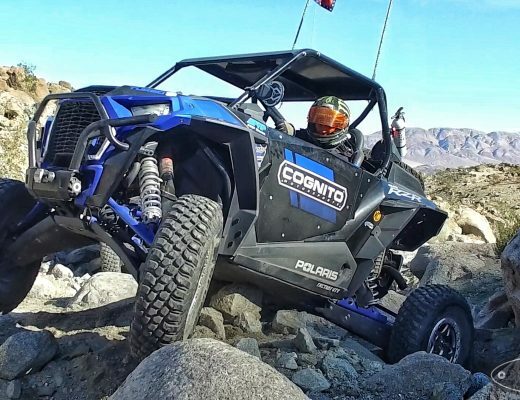 Anyone who has driven a long travel UTV in a competitive situation has experienced the fatigue that can set in from throwing the car around hair pin turns and hanging on for life through major whoop sections. To help Austin keep focused on the race and not on his stamina XMF installed a Unisteer Power Steering kit. Unisteer Performance Products makes the best power steering set up on the market for UTV’s and last year Kimbrell along with many others proved that these Unisteer Power Steering kits could hold up to the rigors of off road racing. Keeping Austin safe and in place is a set of 3×3 Crow 5 point harnesses. Kimbrell chose Crow because of the comfort and quality and using Crow gives him and his team peace of mind that he is held in by the best in off road racing! The Crow harnesses hold Austin tight in his custom made BS Sand racing seat. The seat was custom built and made to conform to Austin’s body. It is durable and comfortable and keeps Austin safe and secure. Here at UTVUnderground.com we are proud to be a part of Kimbrell Racing for a second year in a row. It has been a pleasure working with Austin and his entire team and we look forward to an awesome year as Austin Kimbrell in his Monster Energy Kawasaki Teryx makes a run for the Lucas Oil Off Road Racing Unlimited UTV Championship. Austin is a fierce competitor and a very talented driver and together with his amazing team of sponsors and supporters we look to 2010 as being Austin’s break out season!